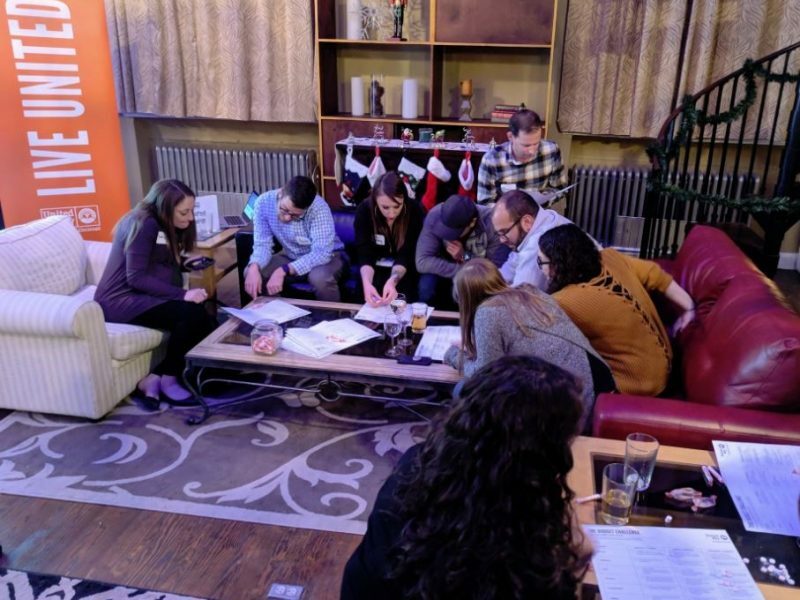 Young adults attended workshops led by the United Way to understand the complex nature of poverty and its implications on Cincinnati children and families at a L'Shem Cincinnati event. How might we activate Jewish Cincinnatians’ passions and resources to drive deep social change for the common good? That is the question L’Shem Cincinnati, the Jewish Community Relations Council’s civic engagement arm, is striving to answer. Lishma, in Hebrew meaning, “For its own sake,” provides a powerful message to those striving to build community, strengthen relationships, and create positive social impact. It is lishma that allows us as Jews to journey on an altruistic path, working to do what is right simply because we know it to be true. Thus, L’Shem Cincinnati represents the connection that we as Cincinnati Jews have for the sake and wellbeing of our neighbors throughout the Cincinnati community. Since its inception in the summer of 2018, L’Shem has been inspiring action within the hearts and minds of Jewish Cincinnatians, empowering members to learn about various social and political issues, get connected with other faith and ethnic communities, and engage in advocacy and volunteerism. In addition to grassroots organizing for criminal justice reform and voter engagement, and joining arms with more than 20 faith communities to celebrate Cincinnati’s cultural diversity at the Festival of Faiths, L’Shem has initially focused on lifting up the relevant, local social issues that impact our communities every day. L’Shem has partnered with the Young Adult Division (YAD) of the Jewish Federation of Cincinnati as a co-host for some of YAD’s Speak Up Speak Easy events. At each event, young adults hear from an expert on a particular social issue, talk about what is happening in the broader community as it relates to that issue, consider it with a Jewish lens, and learn about ways to take action. At a Speak Up Speak Easy event at 80 Acres, participants a taste of the sustainable indoor farm operation and learned about reducing food insecurity and improving community health. 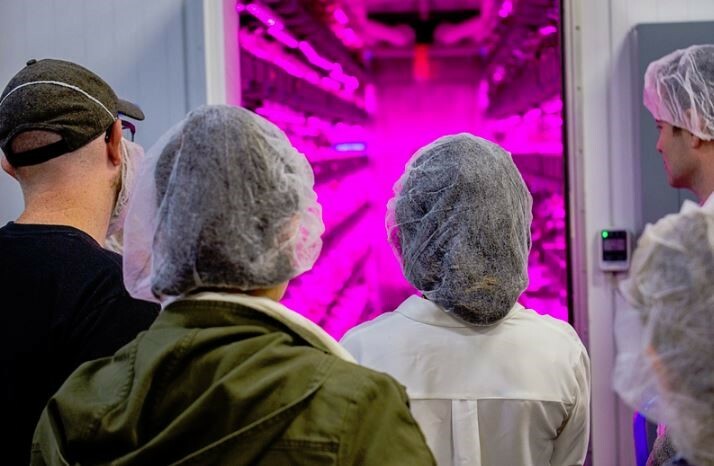 The first Speak Up was convened at 80 Acres Farms, a locally-based food startup, where attendees got a taste of the sustainable indoor farm operation. Members learned about reducing food insecurity and improving community health before learning how to pickle fresh cucumbers. The second event found the group diving into various workshops with the United Way in an attempt to understand the complex nature of poverty and its implications on Cincinnati children and families. The most recent Speak Up was arranged at the new Nancy & David Wolf Holocaust & Humanity Center, in partnership with Refugee Connect, an organization supporting local refugees in need. Attendees had the opportunity to tour the exhibit, hear stories from refugees, and engage in some reflective conversation about the role to help the stranger in our midst. Additionally, attendees learned about ways to get involved mentoring refugee young adults and families. While the Speak Up Speak Easy series is meant for engaging young adults, L’Shem is hoping to bridge Jewish Cincinnati across generations with future events and projects. To fulfill its mission, the JCRC strives to enhance Jewish security by recognizing that this depends on the existence of a just society for all. Our shared Jewish values and traditions teach us to embody a sense of moral and physical responsibility, to care for the other, and to improve society at large. At the JCRC we believe that together we can be a catalyst for creating a more just and vibrant place for everyone to live. We hope that as your Cincinnati JCRC, we can help support you in fulfilling your tikun olam and working to advance justice, interfaith and inter-community relations efforts throughout Cincinnati. We invite you to join in volunteerism, advocacy or simply exploring your passions with us.